Rose Gold necklace, a lovely rose gold cute little flower disc. It's a perfect size to be both elegant, and not too much at the same time. The pendant itself is 1/2" wide. Made from Rose Gold plated brass. 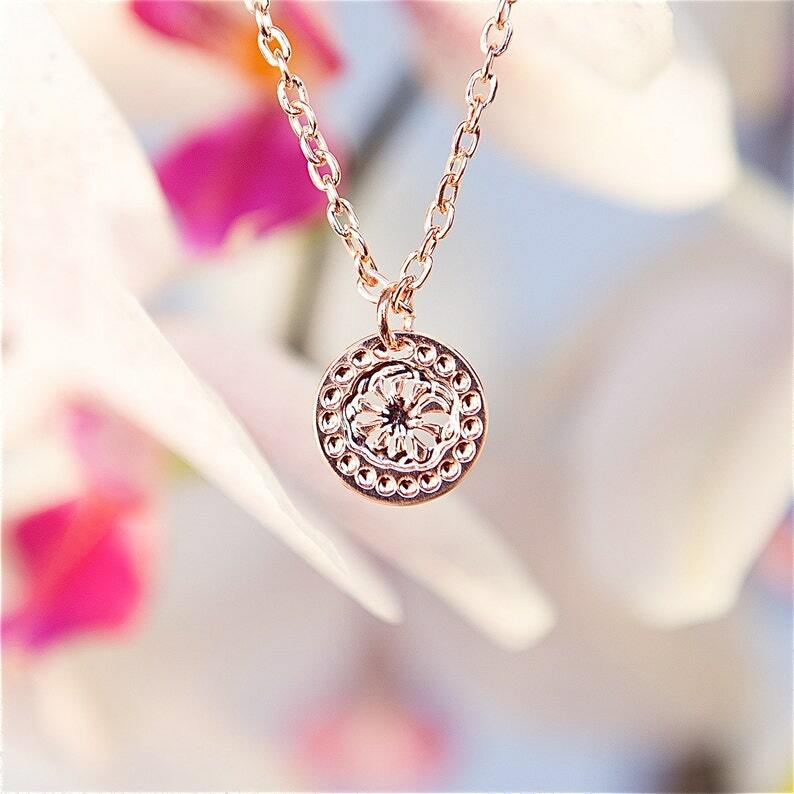 Thank you for looking at my rose gold necklace! I also make other beautiful jewelry in my shop, and I'd love for you to stop by and check out the rest of the jewelry sometime.